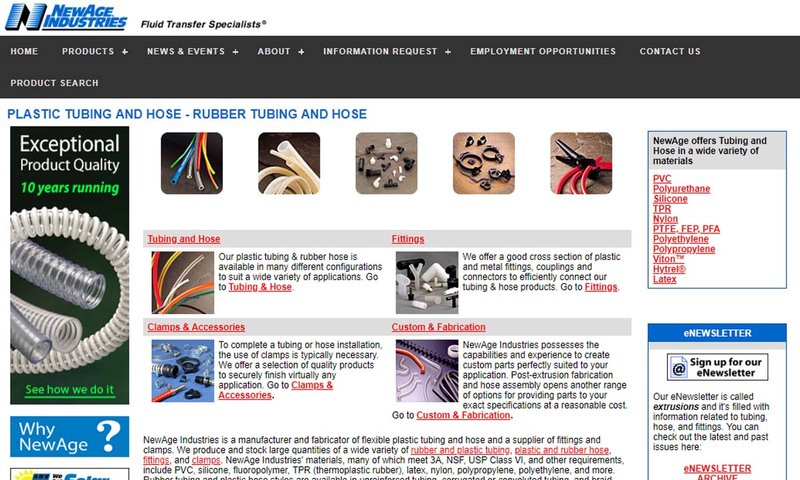 A reliable source for Extruded Rubber information and a resource for accessing leading Extruded Rubber and suppliers. Rubber extrusion is a part forming process. During this process, a high-pressure extrusion machine forces synthetic or natural rubber materials through a shaped die in order to get it to take on its section profile, shape or cut. Because rubber extrusion allows for high levels of customizability and yields products with superior uniformity and strength, it is the preferred rubber processing method of most manufacturers. Rubber Extrusion Rubber extrusion is a part forming process. During this process, a high-pressure extrusion machine forces synthetic or natural rubber materials through a shaped die in order to get it to take on its section profile, shape or cut. If the rubber part is used in manufacturing, we are almost sure to have it. When we started in 1984, we carried few rubber extrusions, but today, we offer nearly every rubber product in existence. National Rubber values quality, consistency, and fast delivery of our products. Our components are made from a variety of elastomers such as neoprene and silicone, and our team members are capable of turning your drawing into the part you need. 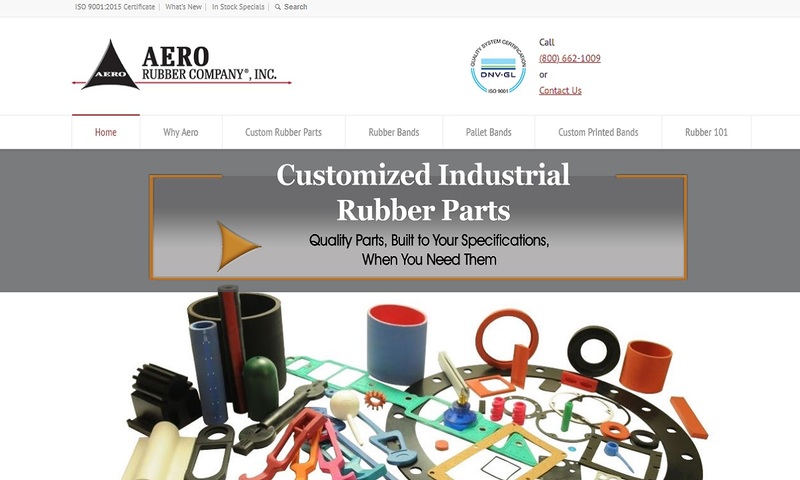 Aero Rubber Co. offers exceptional quality and competitive pricing on all of our extruded rubber products. 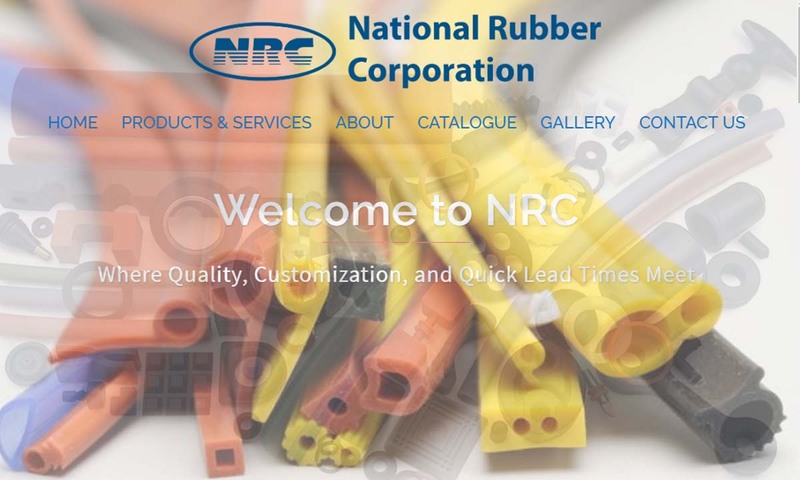 Aero Rubber Co. uses high quality rubber compounds such as, Neoprene, Viton, Silicone, EPDM, Polyurethane, Natural Rubber, and Thermoplastic Rubber. We got our beginning in 1954 and ever since then we have been manufacturing custom rubber extrusion solutions for customers around the world! 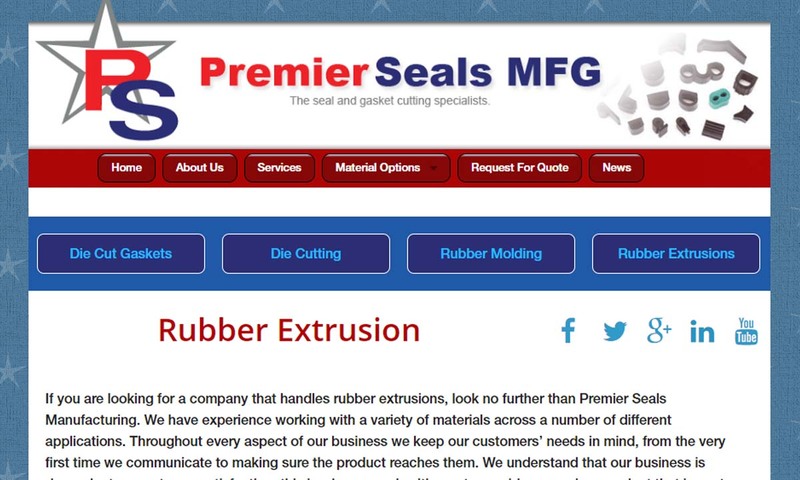 Ready to meet the demanding requirements of all customers and applications, Premier Seals Mfg. specializes in the production of rubber extrusions to your specifications. 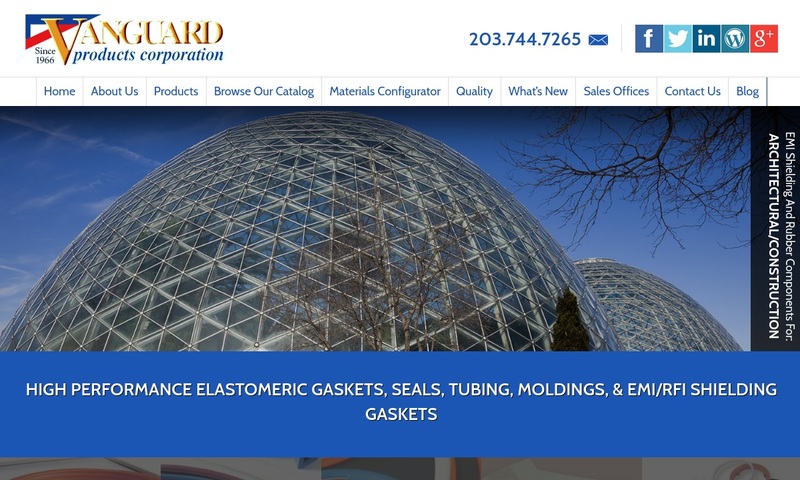 Vanguard Products is full-service, ISO 9001:2015 manufacturer of extruded rubber goods, molded rubber, rubber bumpers, extruded rubber tubing and rubber grommets. 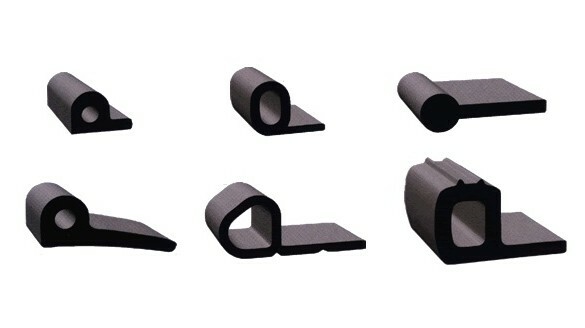 Rubber extruders make a wide range of shapes and products that are invaluable in everyday home life, such as rubber trim, weather-stripping, extruded rubber seals, rubber floor matting, rubber grommets, connectors, bumpers and more. In general, rubber extrusions are valued as sealants and gaskets because they offer such excellent flexibility, impermeability and resilience. They even make up the eraser on the end of a pencil. Outside of the home, rubber extrusions are used in cars, on bicycles, on space shuttles and on submarines. In warehouses and manufacturing facilities, rubber rollers, sheets and rods absorb the noise and vibration caused by moving machinery. Rubber is a naturally occurring elastomer, cultivated from the Pará Rubber Tree. Researchers believe that the cultivation of rubber has been taking place since prehistory; they estimate that Mayans were sapping rubber trees and boiling natural latex to make crude oil as early as 1600 B.C.E. The rubber extrusion process as we know it today, by which natural and synthetic rubber materials are modified and shaped into rubber products, did not begin to develop until the 19th century. During the 19th century, manufacturers began using textile rubber profiles. By the early 20th century, scientists were synthesizing rubber. In 1909, Bayer employees working out of Elberfeld, Germany polymerized Isoprene. Just a year later, Sergei Vasilievich Lebedev, a Russian scientist, developed another synthetic rubber, this one derived from butadiene. This synthetic rubber went on to be an important material for Russia during World War I. In 1931, not long before the Second World War, scientists at DuPont successfully synthesized neoprene. This polymer was hailed as a highly durable and corrosion resistant rubber, useful for many things, especially vehicle fuel hoses. As the material grew in popularity, scientists around the world, mostly the US, Germany and the Soviet Union, competed to create better and cheaper neoprene-esque polymer products. At the advent of World War II, US production of synthetic rubber kicked up several notches, as most of the world’s rubber supply was in Axis-controlled hands. During the war, rubber materials were important to the engineering of military vehicle tires and other components of war machines. After the war, synthetic rubber production continued, and by the ‘60s, synthetic rubber production and use exceeded that of natural gum rubber. In the modern world, there are more synthetic rubber varieties than ever and rubber extrusion occupies a position of importance. It serves innumerable consumer, commercial and industrial applications. The properties of an individual finished product depend on the raw rubber stock used to make it, the extrusion process it undergoes, and any secondary processes. Since rubber exists in many unique forms, rubber extrusion manufacturers are able to further develop their products through raw material selection. Natural rubber, which is also called gum rubber, is sought after for its qualities of excellent acid and abrasion resistance. Silicone rubber is an FDA-certified non-reactive elastomer. It is chemically inert and does not react to biological fluids. In addition, it maintains its form and properties when exposed to both high and low temperatures, typically between -55℃ (-67℉) and 300℃ (572℉). Because of its superior qualities, silicone is popular for use in food service and healthcare. This rubber compound has qualities of superior heat, chemical and weathering resistance. For this reason, it is also popular in food service and healthcare. Nitrile, a synthetic rubber copolymer, is highly resistant to oils, and so it is used to make rubber products that will encounter oil, like O-rings, hoses or hydraulic seals. Nitrile is also known as nitrile rubber, NBR (nitrile butadiene rubber), acrylonitrile butadiene rubber, Perbunan or Buna-Nis. Neoprene resists heat, fire, UV rays, water and oil. It also has a high tensile strength. Butyl has low air flow permeability. SBR (styrene-butadiene rubber) is high abrasion resistant. For this reason, it’s used in a lot of automotive applications, like motor mount fabrication and belt cover fabrication. EPDM (ethylene propylene diene terpolymer) is resistant to many potential damages, including: heat, aging, ozone, oxidation and ultraviolet rays. It has many applications, including: sponge rubber, foam rubber, weather-stripping, tarp straps, door gaskets, window gaskets and roofing membrane. Manufacturers conduct a standard rubber extrusion job with a standard rubber extruder. After they have completed the design phase, which involves creating the die and selecting the material, they move on to extrusion with the extruder. 2. Feed unvulcanized rubber into the hopper, a container suspended above the conveyor. 3. With the help of gravity, send the rubber stock through the bottom of the hopper and out onto the conveyor. 4. The conveyor, along with a rotating screw, move the rubber towards the die. The screw creates pressure and temperature, which also helps push the rubber onward. 5. After it has reached the end of the conveyor, and has softened enough, the rubber passes through the opening of the die. 6. As the rubber passes through the die, it swells and takes on its shape. 7. After passing through the die, the rubber emerges from the other side of the extruder, now a shaped profile that matches the die. After you’ve processed the rubber profile, you may engage in any number of post-processing or secondary processes. Examples include: vulcanization, dusting (powder is applied to rubber to prevent it from adhering to something else), cutting, drilling, coiling, splicing and taping end joining. Of these, vulcanization is not optional. Vulcanization is a popular method of strengthening extruded rubber. During vulcanization, you cure the extruded rubber with Sulphur or other curative compounds. To create a custom rubber extrusion, manufacturers think about a number of design factors, all related to the application. One of the first things they think about is material. Material choice depends entirely on how it will match the application requirements. Then, they plan out the shape of the die.  They may also consult their standard rubber die list, but they make new dies for a custom extrusion. A standard rubber extruder, also called a screw extruding machine, consists of two main parts, a heated shearing screw conveyor and a die. A shearing screw conveyor is made up of a conveyor and a screw. The screw, which sits parallel to the conveyor, pushes rubber material onto the conveyor channel, where it is heated, pressurized and plasticized. A die is a pre-designed chamber that serves as a shaping tool. Newly pressurized and plasticized rubber material is squeezed through it to create a shape. The material is pressured by the conveyor screw to squeeze through the die, located at the end of the conveyor, from which the new shape will emerge. Only once a rubber shape has cooled is it considered “extruded.” Note that a die can be made into nearly shape and so, rubber can be extruded into nearly anything, no matter the shape or size requirements. Variations on standard rubber extrusion are often related to the type of rubber being extruded. For example, to successfully conduct silicone extrusion, manufacturers must modify their rubber extruder temperature output to compensate for silicone’s heat-resistant characteristics. Also, in order to undergo extrusion, natural rubber stock must first be divided into pellets. Some types of extrusion are not based specifically on a rubber material. Injection rubber molding is a popular alternative to rubber extrusion. Manufacturers perform injection molding by heating the rubber material until it is warm or molten and then injecting in into a mold cavity. Inside the mold cavity, often with the help of heat and/or pressure, the rubber takes on the mold’s shape before it cools and hardens. Injection molding is a good alternative choice when you’re working with elastomers, thermosetting polymers or exceptionally complex designs. Plastic extrusion is very similar to rubber extrusion. In this case, the raw material takes the form of plastic nuggets or kernels. When fed into a column with a screw, the material turns semi-fluid and passes through the die. After extrusion, plastic extruded parts undergo their own secondary processes. Co-extrusion is a variation on basic extrusion that allows for the creation of extruded rubber parts that contain the properties of more than one rubber material. Co-extrusion works when two separate extruders and two or more separate batches of mixing rubber material are connected to a single die. They separate batches of rubber are fed into the die at the same time, allowing for their convergence. While extruded rubbers can be used after they have cooled, they may also undergo secondary treatments to improve them in some way. There are many reasons to choose rubber extrusion. First, it offers great freedom of design. You can request parts in nearly shape and size, and manufacturers can use nearly any rubber material. This means that you also have many choices when it comes to the qualities your part will exude. Another great benefit of rubber extrusion is that it makes parts that are both strong and flexible and soft. In order to get a high-quality product, you must work with a high-quality manufacturer. In the Google age, it can be hard to know which companies are reliable and which are not. 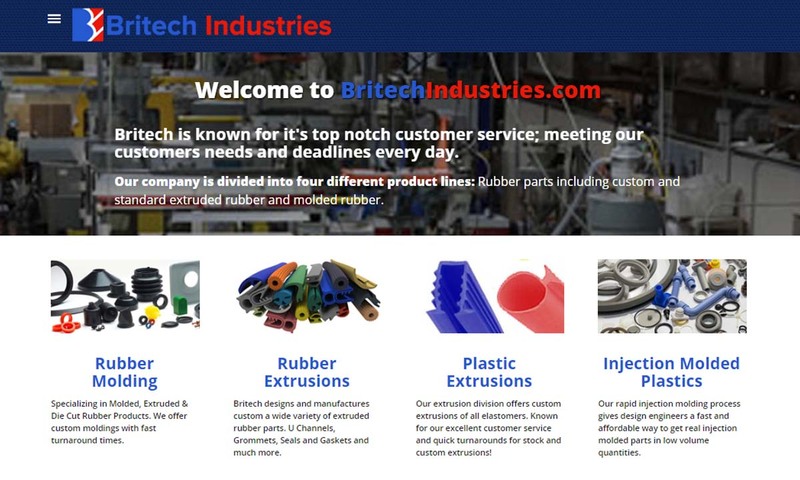 That’s why we’ve taken the time to put together a list, complete with profiles, of leading rubber extrusion companies. All of these companies have proven their worth to customers many times over. To choose from among them, we recommend you start by browsing their profiles with your application in mind, and pick out three or four in whom you’re interested. When you’re ready, call each of them and talk over your specifications, requirements and questions. Remember to include questions related to: order volume/quantity, price, delivery date Compare and contrast each conversation. Identify which supplier offers not only the best deal, but also the best customer service. It’s better to bypass a manufacturer that doesn’t demonstrate good customer service, because miscommunications may end up costing you more in the long run. Once you’ve figured out which supplier is best for you, reach out again and get started. Good luck!